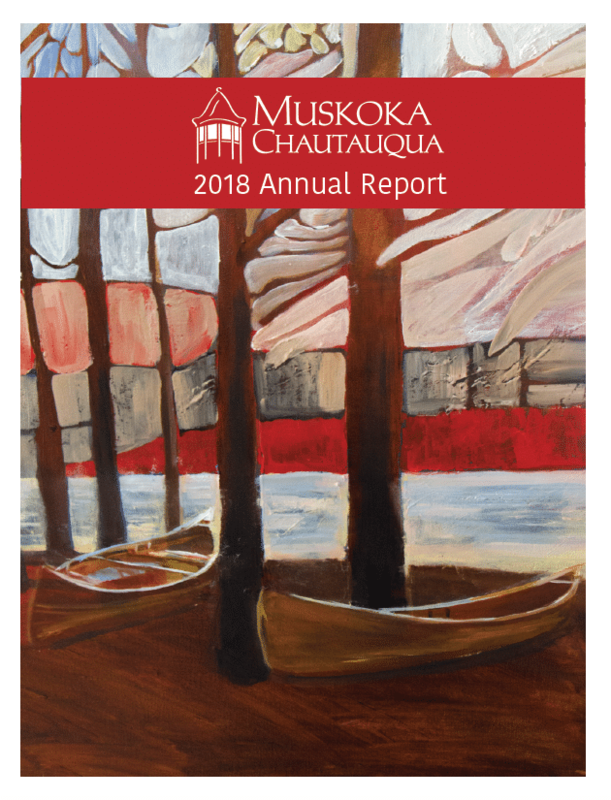 Muskoka Chautauqua is a not-for-profit organization offering creative, multi-disciplinary arts-based programming that engages, innovates and transforms. To be internationally recognized as a leader in the provision of creative arts-based programming for entertainment and lifelong learning that enhances and enriches our communities. 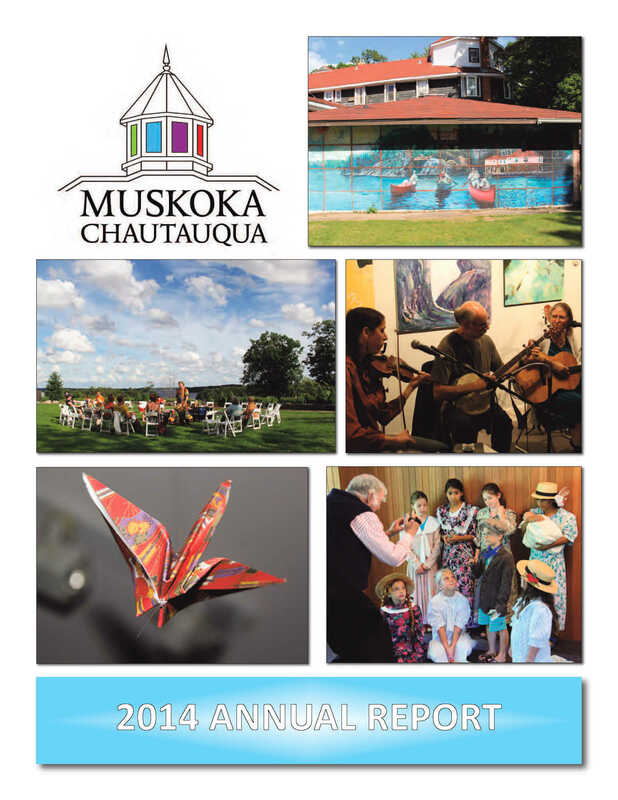 To coordinate and support innovative multi-disciplinary and arts- based programs and organizations to inspire lifelong learning, personal growth, enrichment and renewal by celebrating creativity, the human spirit and Muskoka’s unique heritage and natural environment. 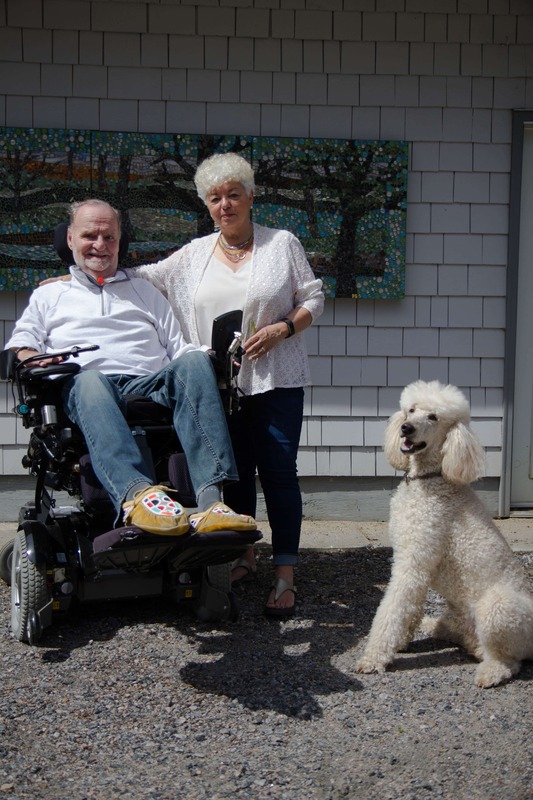 Gary Froude and Gayle Dempsey both shared an incredible dream of creating an arts-based education community when they first met. Since then, they have reconnected Muskoka with its Chautauqua roots, after an 80-year dormancy, and have initiated many arts-based programming throughout the region. 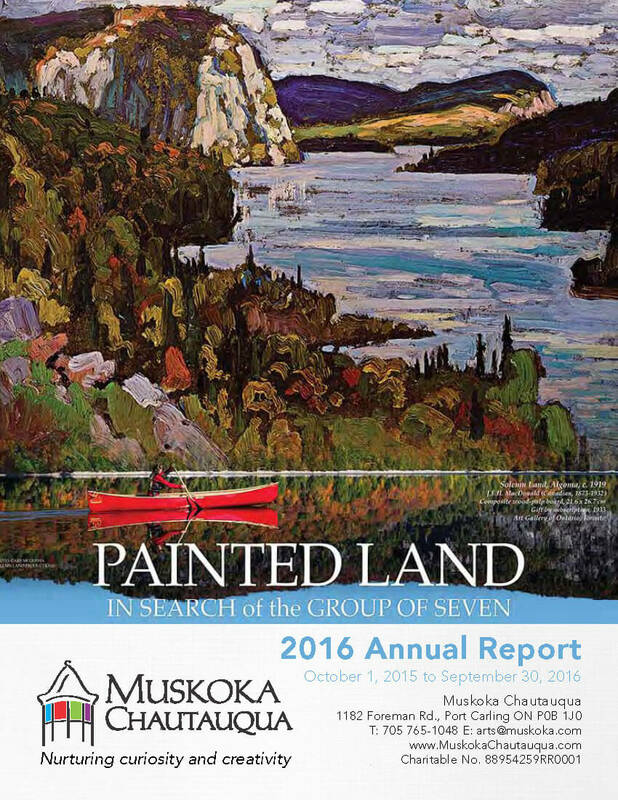 Programs include Artist-in-residence programs at two resorts, professional theatre in Minett and Windermere, an annual fundraiser to support the local artisinal culture, painting classes, art exhibitions and more! Gary and Gayle believe that the arts are an integral part of personal, social, and emotional growth and wellbeing. Gary Froude (Executive Director) and Gayle Dempsey (Director of Development), have reignited Muskoka’s passion for the arts and continue to develop and promote arts and education based programming for all ages. 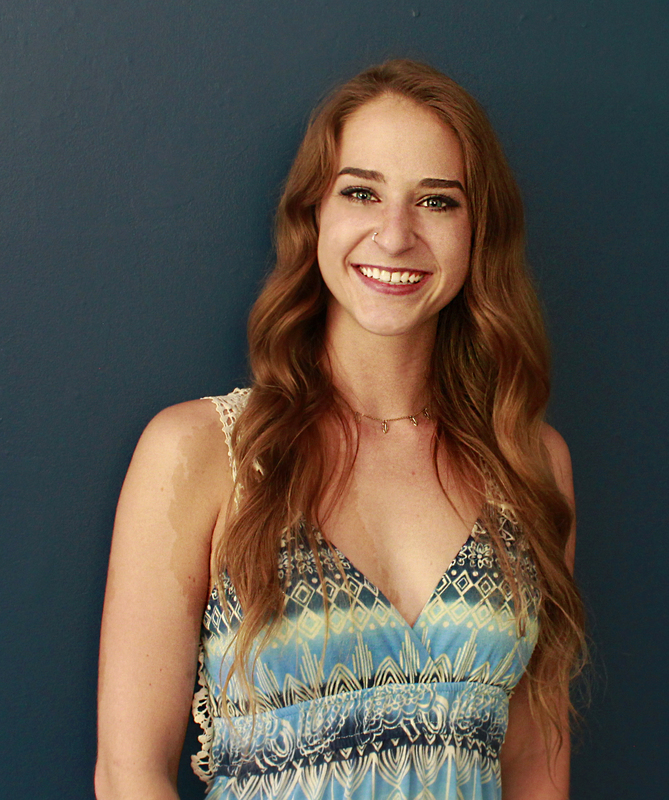 Kelly Hart has recently joined Muskoka Chautauqua, working in the events, program development, and content creation departments. She is a UofT Honours Graduate with a Major in New Media and double Minor in Sociology & English. Kelly is thrilled to be utilizing her schooling in the arts. 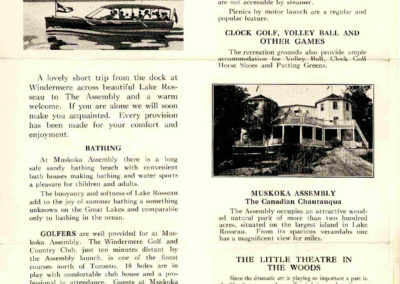 Kali Lebrun has worked seasonally at Muskoka Chautauqua for 3 years in the events management department. 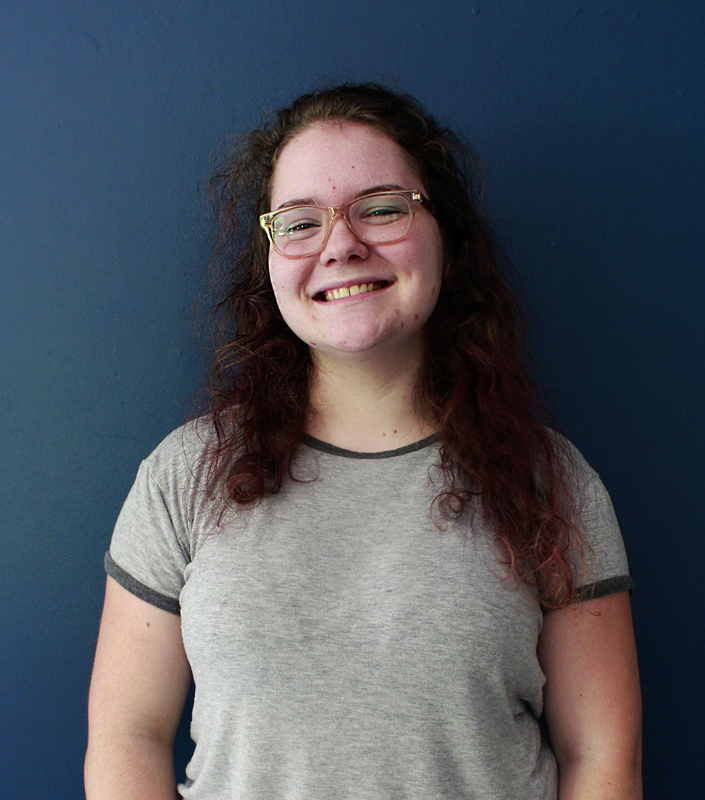 After recently graduating from high school in the spring of 2018, she is headed to Fleming College in the fall to pursue a diploma in Visual Arts. 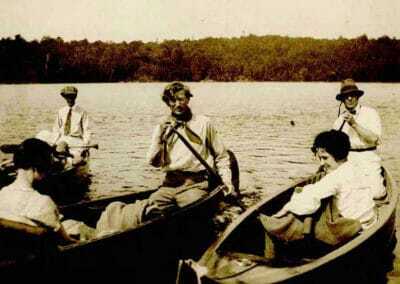 Sabina Rock joined the Muskoka Chautauqua team last year. She has worked diligently in our arts development department organizing the arts programming and acting as an Artist-in-residence. She will be returning to York University to complete her degree in Fine Arts. 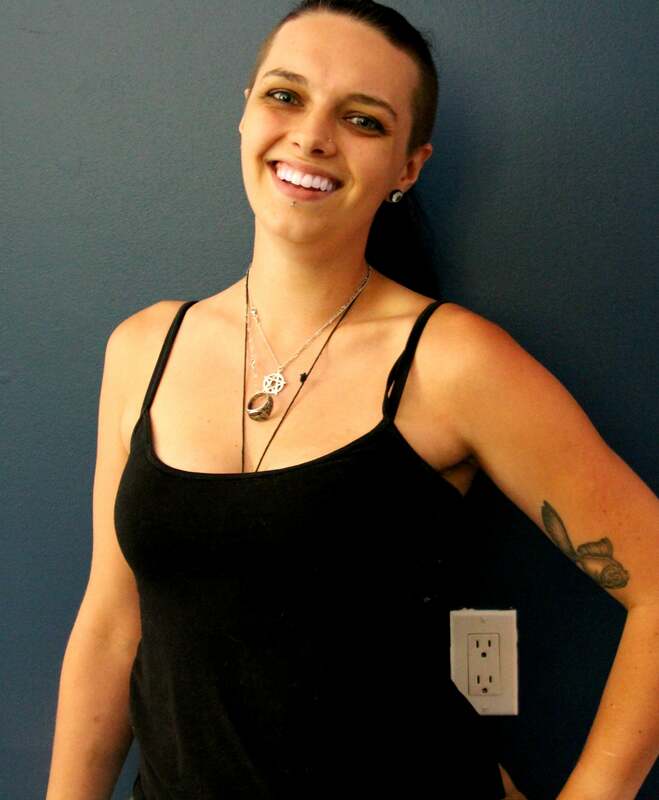 Brittany Johnston is a 21-year-old artist studying graphic design at Georgian College. She is currently acting as the liaison between Arts Network for Children and Muskoka Chautauqua to bring the two organizations closer to support arts education within the region. 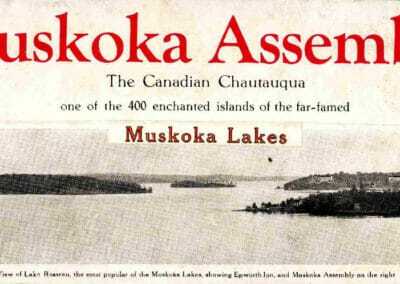 The Chautauqua movement has a long history in Muskoka. 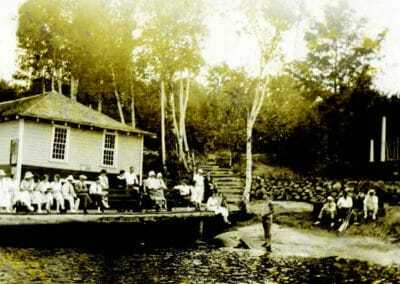 At the turn of the 20th century, Muskoka was known as Canada’s Literary Summer Capital. 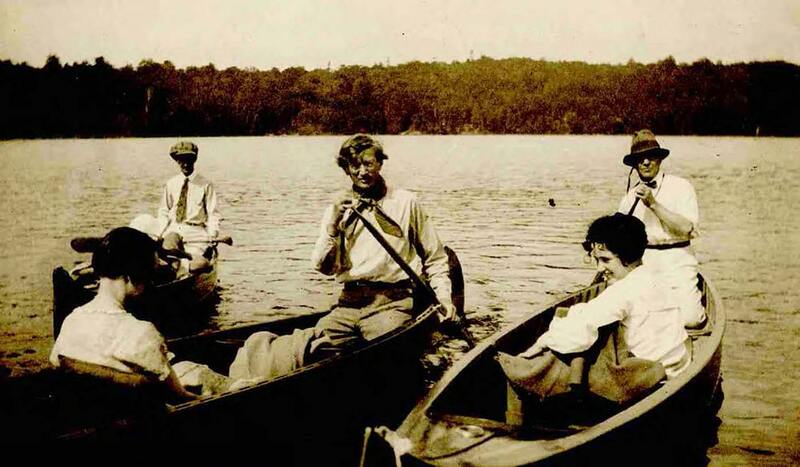 In the years 1916 and 1917 conferences were held at Windermere House and Elgin House to provide study, sport and spiritual uplift. 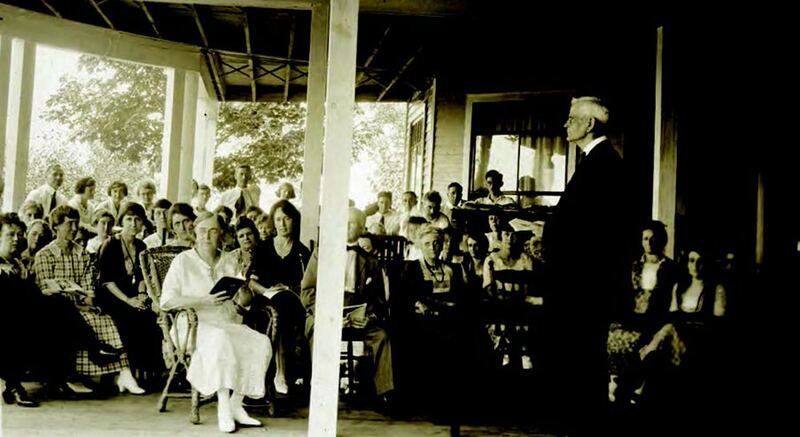 Chautauqua was part of a larger American movement established to bring education, religion and the arts to communities, most often in beautiful outdoor settings. 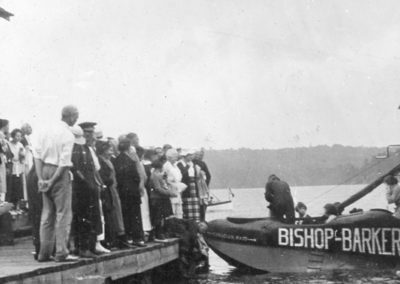 Tobin Island, Lake Rosseau, Muskoka, post World War I, was the location of the first permanent Canadian Chautauqua Institution. 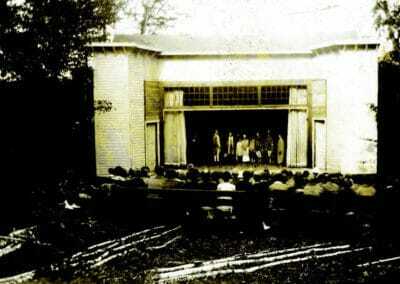 A day at Chautauqua would be divided into education in the morning, recreation in the afternoon and entertainment in the evening. It was an opportunity for rejuvenation in a beautiful natural setting, through intellectual challenge, physical workouts and artistic and spiritual enlightenment. 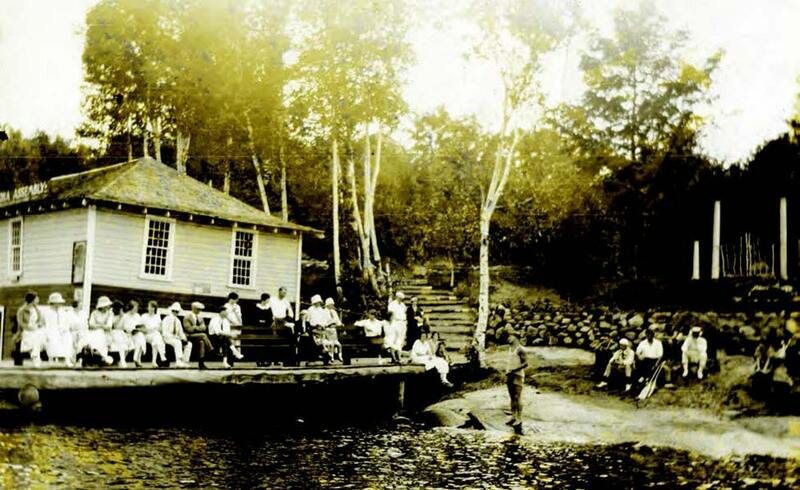 In Muskoka, an extremely important part of this movement was the Reading Circle, whose intention was to introduce and advance the works of Canadian authors. 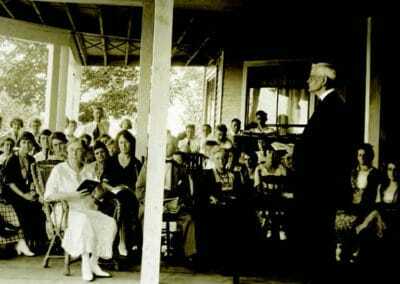 Chautauqua weeks featured famous authors of the day such as Bliss Carman, Charles G. D. Roberts, E. J. Pratt, and Dorothy Livesay reading from their works and discussing current issues. 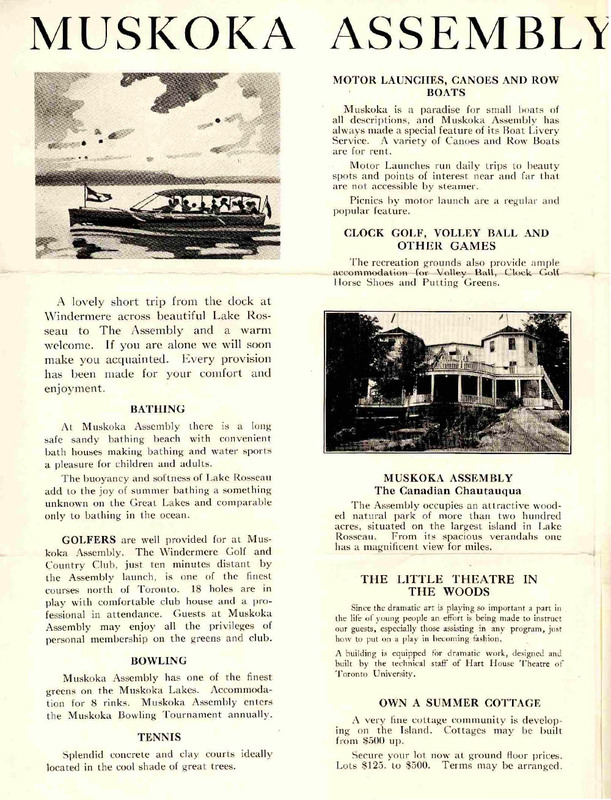 Visit Muskoka Chautauqua’s Wikipedia page to read the full history. 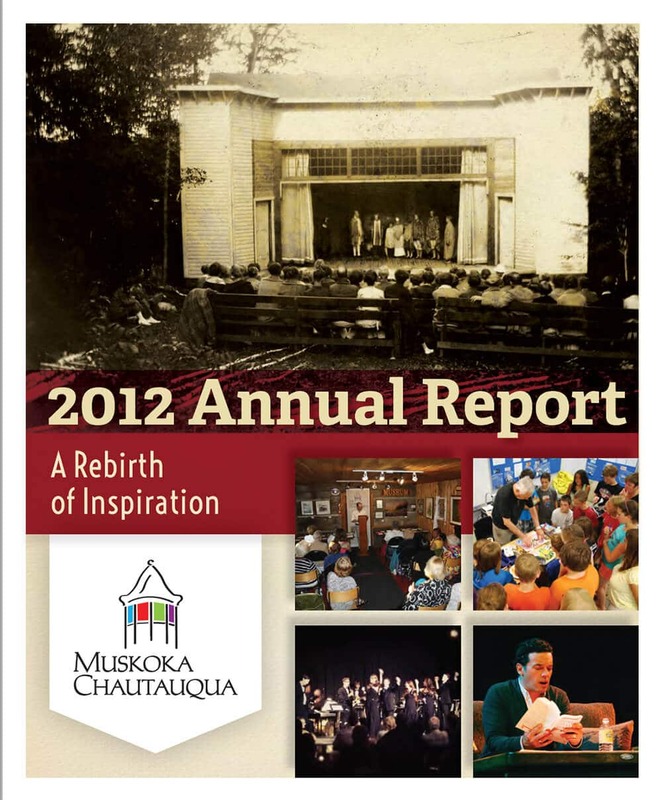 The current iteration of Muskoka Chautauqua grew out of the Muskoka Lakes Music Festival, which began in 1997. 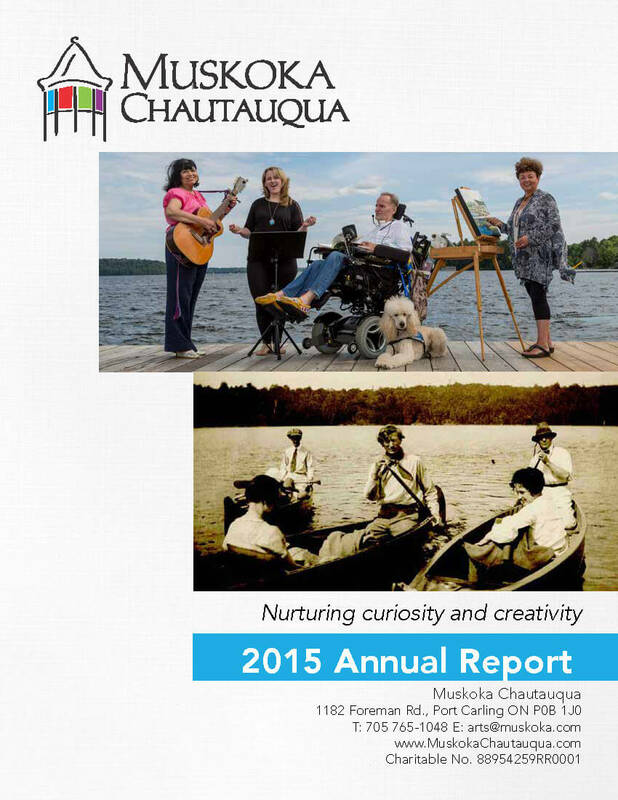 Out of a need to expand beyond musical offerings, and upon the discovery of the historical Chautauqua in Muskoka, a multidisciplinary arts community was formed. 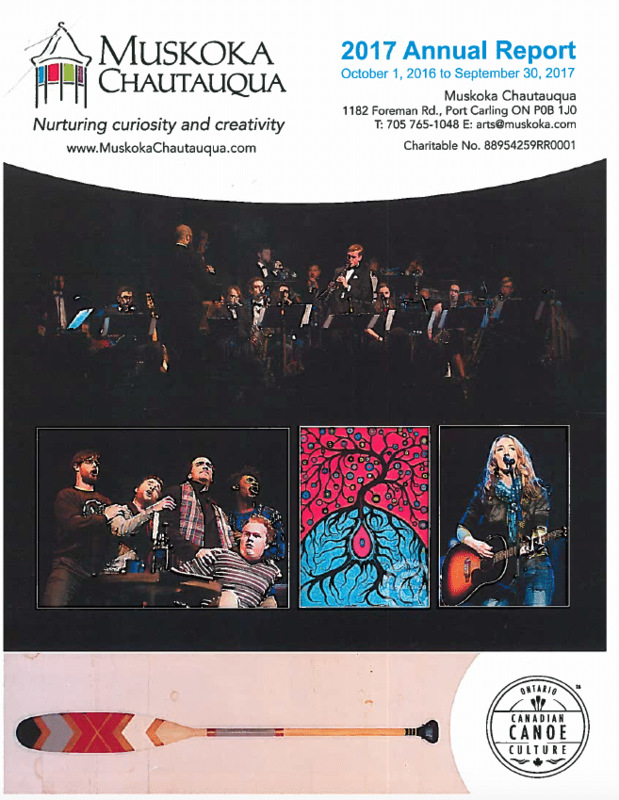 Today’s Muskoka Chautauqua designs and delivers multi-disciplinary arts-based programs that inspire personal growth and enrichment by creativity. 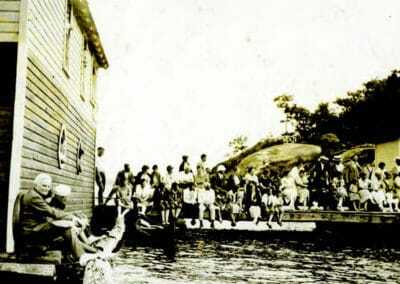 It is part of the international Chautauqua Trail, a network of Chautauqua communities located throughout North America. 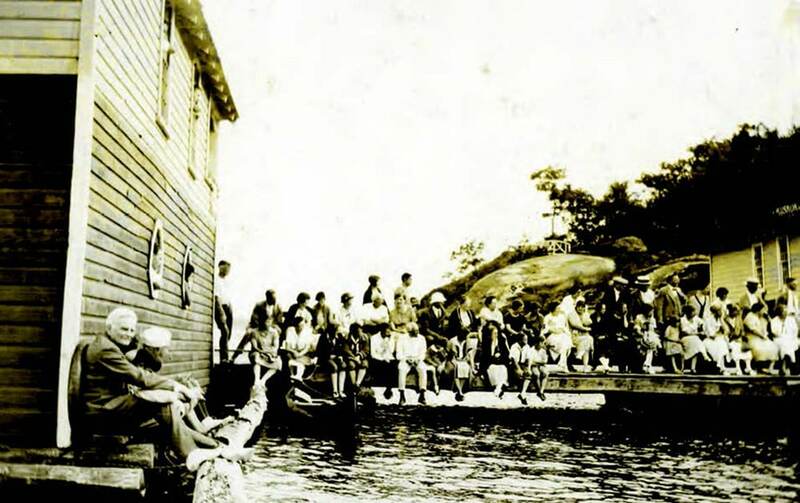 Click on a cover to download the full report.